<Hong Kong, December 19, 2018> Crypto.com, the pioneering payments and cryptocurrency platform, and Ledger, a global leader in securing crypto assets, today announced the signing a Memorandum of Understanding (MOU) to have Ledger adopt Crypto.com Pay — a cryptocurrency payment solution powered by the Crypto.com Chain. 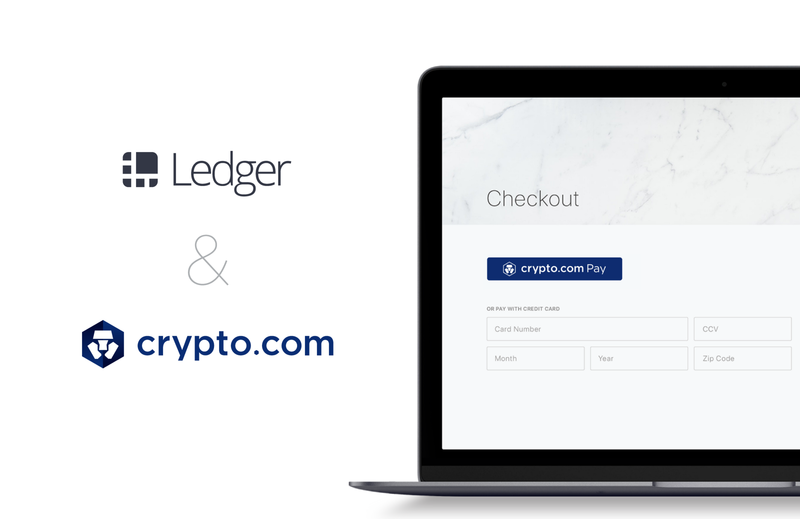 Once Crypto.com Pay is implemented onto Ledger’s online store, customers will have the option to purchase Ledger products at checkout with their desired cryptocurrency seamlessly and securely, and collect cash back rewards funded by the network. Purchases will be made by opening Crypto.com Wallet & Card app, clicking the Pay button, scanning a unique QR code on the Ledger online store, and selecting the desired cryptocurrency to be spent. By using Crypto.com Pay merchants can enjoy greatly reduced processing fees for settlement in cryptocurrency, online or offline. Customers will benefit from generous cashback rewards while paying with cryptocurrency.